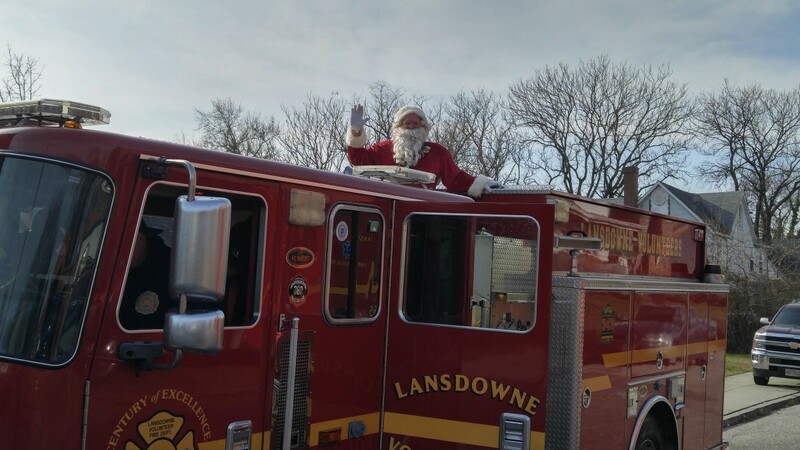 Santa and his faithful Firefighters and EMTs from the Lansdowne Volunteer Fire Department will be sledding through the neighborhoods of Lansdowne next Saturday, 19 December 2015 starting at 12:00 pm. Just listen for the sounds of the sirens and sleigh bells. Come on out and help us welcome Santa to Lansdowne.